If you’re a senior in high school, you can connect your Naviance account with CommonApp. To do this, you log into Naviance and CommonApp. 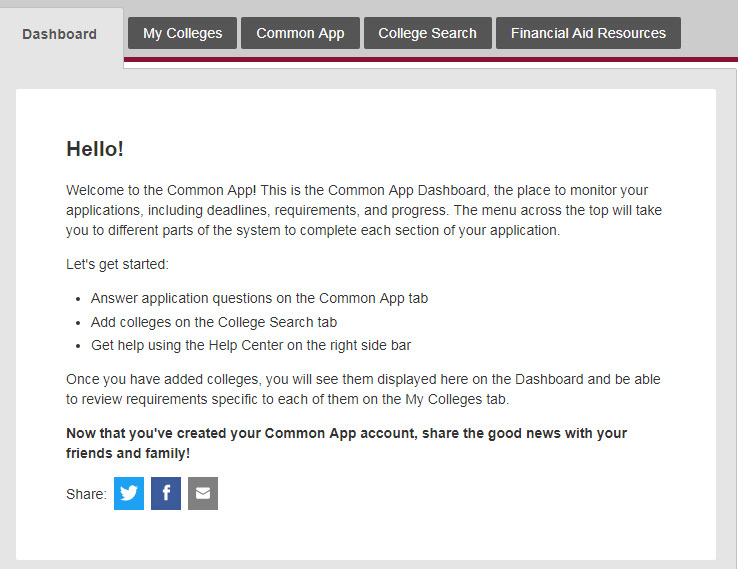 Once you’re on Naviance, click on the “Colleges I’m applying to.” There should be a red tab across the screen that says, “Connect to CommonApp.” With the connection betweein Naviance and CommonApp, it’ll make applying easier. Once you have gotten your account ready and logged in, there will be five different gray tabs across the top of the page. Click on the one that says, “Common App.” There will be information that you need to fill out, and they are really easy, simple steps. Some questions may require you to get information from your counselor if you don’t have them yourself. For example, they ask for your ACT or other test scores. You can either put them in yourself or have your counselor email it to the college you’re applying for. Once you have completed each section, there will be a green check mark by the section name marking that you have completed it. At the end of filling out your information, they will give you an option to write your college essay or upload it from google docs, depending on which is easier for you. Some colleges may or may not require an essay to be written, but having one available is always good. After doing everything on the “Common App” tab, you can go on the “College Search” tab and start looking for colleges. If you find one that you want to apply to, or are interested in, you can add it to your college list. Adding it to your college list will make the school name appear on the “My Colleges” tab. Clicking on the college will take you to the application form, and there you will put in the information that is needed. Applying should be easy now, and if you missed any part of the application to the college, they will send you an email informing you which part is missing. The fall deadline for rolling admission, for the 2019 school year, is on 7/28/19, and the spring deadline is on 1/02/19, so if you’re still applying, be sure to apply before the deadlines.